Man’s best friend: companion or animal? Most scientific inquires, referring to animals en masse, neglect the idea of individuality among animals. However, disregarding this academic approach, many people view their animal companions as family members. Dogs, often called ‘man’s best friend,’ are no exception. Despite this old saying, science had generally neglected research on dogs until the end of the 19th century. At that time, both phylogenetics (looking at the history of animals by the means of genetic tools based on the study of the DNA sequence), and sciences associated with the study of behaviour (such as comparative psychology, animal behaviour, or ethology) realized that dogs offered a unique possibility not only for understanding the biology of this species but the history of humanity. Early interest in dogs, which actually still stirs heated debates, focused on the time and location of domestication. A study led by Charles Vila suggested that dogs may have been domesticated 100,000 years ago, much earlier than estimated by archaeological evidence. Today, most researchers agree that this date was probably an overestimation and that the reality lies closer to 16,000 to 32,000 years. Even so, that would be at least 5-6,000 years before other animal species began on the route of domestication. Why did it happen? Early dogs may have not provided any physical benefit for the archaic human; there is little evidence for any early gain in having dogs around. Instead, various theories assume that dogs may have been domesticated to offer social companionship, partly because humans have an extraordinary inclination to care for others. We may never find out what made early humans allow wolves’ descendants into their lives, but it is clear that a dog is still considered a social partner; a companion providing emotional and social support to his or her owners. ‘Personality’ by Family Dog Project. Used with permission. Scientists studying the behaviour of dogs also aimed to find out what made them so special. They have argued that in order to become a member of the community of humans, dogs had to acquire the potential for displaying functionally human-like behaviour; “functionally,” in this case, means that the behaviour of dogs is compatible with what is shown or expected by people. 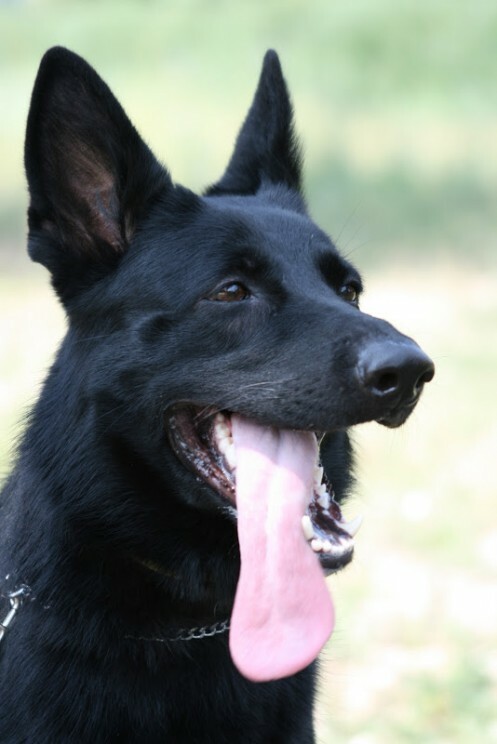 For example, if the owner wants to make the dog go to a specific location, he or she may use a pointing gesture, which is actually considered a specific form of human communication. Because dogs react to the communicative actions of the humans and go to the indicated place, we can say that dogs show functionally human-like behaviour. Most dogs living in human homes acquire this behaviour spontaneously without the need of specific training. and their performance is similar to that of 1.5 year old infants. Moreover, very young dogs follow the pointing gestures of humans at a much younger age than intensively socialised wolves. Compared to wolves that might also learn this gesture by the time they are adults, dogs seem to be better prepared by their specific history of domestication, showing a higher interest in human behaviour and communicative activities. Actually, there is still a great need for research on dog behaviour. Dogs play an important role in the family, despite people knowing so little about the needs and desires of the animal. Research may clarify the function of the bond between people and dogs. Rather than making generalisations such as, “dogs are just like wolves” or “dogs are children in fur,” continued research may help provide a more accurate and objective understanding about dogs. For instance, recent research has found that dogs have functionally similar emotions to humans, and that they also care about the emotional behavior shown by us. At the moment, we cannot be sure whether dogs can understand the emotions of humans, but they are able to notice differences in our face, such as recognizing if we are happy or angry. Behavioural research on dogs may turn out to be very beneficial for both dog trainers and owners who want to have a closer social relationship with their dog. The effectiveness of new training methods based in social learning has been well-documented by researchers. Being social animals, dogs have a biological tendency to learn by observation, meaning that this skill can be capitalised by modern training methods. The last 25 years have significantly increased our knowledge about dogs, their history, and their social skills. This will, without question, strengthen the dog-human bond, increasing the welfare or both species. Those who devote the necessary time to understand their dogs will be able to rely on an unconditional friend that also enjoys being part of a strong social alliance. At some point, academics might even see a reason to change their mind and stop seeing dogs just as a group of animals, but rather as a bunch of individuals. Image Credit: “Lycaon pictus” by Tarique Sani. CC BY-NC-SA 2.0 via Flickr. Adam Miklosi is Head of the Department of Ethology at Eötvös University. 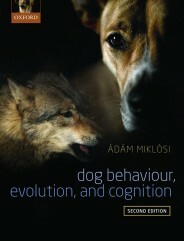 He is the author of Dog Behaviour, Evolution, and Cognition. I agree with this statement, but there seems to be an insufferably long wait for ‘new knowledge’ to replace the old and outdated beliefs that permeate our society’s thoughts about our family dogs. In particular I speak of L. David Mech first publishing his correction (in 1999) that the natural social hierarchy amongst wild wolves is, in fact, not based on an alpha/dominance model (a theory that was also applied to the social order of dogs) yet, 16 years later, the alpha/dominance theory is still widely held today for wolves and dogs alike.